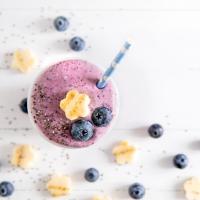 If you like a little more punch in your smoothie bowl, try adding 1 teaspoon of lemon juice and 1/8-1/4 teaspoon of ground ginger. Put serving bowl in freezer. Place coconut flakes on aluminum foil in the toaster oven and toast for approximately 2 ½ minutes, watching carefully to make sure it doesn’t burn. 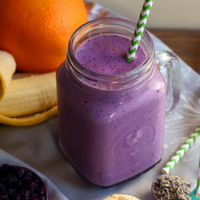 Add remaining ingredients into a blender and blend until smooth. You may need to scrape down the sides once or twice during blending. 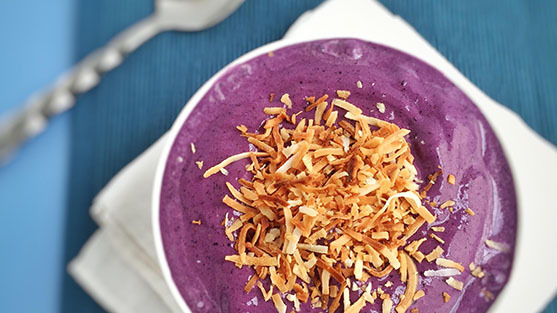 Transfer to a serving bowl and top with toasted coconut.